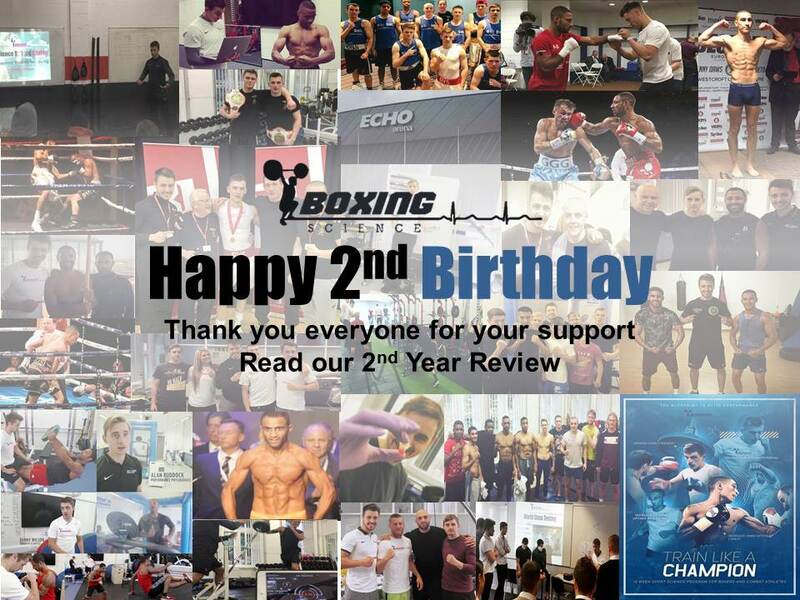 Today, Boxing Science celebrates it’s second birthday since launching in September 2014, and what a 2nd year it has been! We have had a successful 12 months, from winning gold at the University games to playing a huge role in the biggest fight in world boxing. We have educated athletes, coaches and aspiring sport scientists on the science behind boxing, provided testing and world class analysis to aspiring athletes, and we have engaged with our worldwide audience through blogs, videos and live Q and A’s. We are close to stepping onto our next chapter when we release our 10-week sport science training program ‘Train Like A Champion’. We feel that it is a good time to reflect on the amazing things our team has achieved this term. 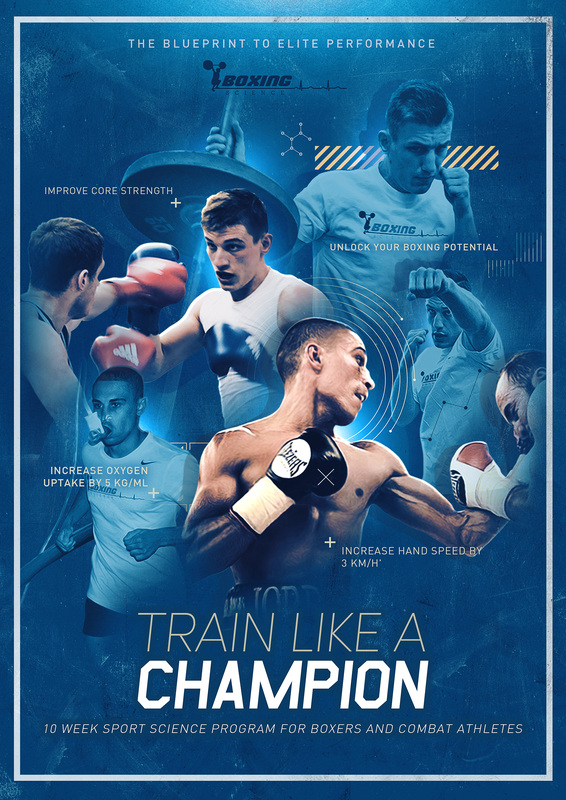 Click here to find out more about Train Like A Champion. On Friday 8th June, the boxing world was hit with the shock announcement that IBF welterweight world champion Kell Brook would step up two weight classes to face feared middleweight Gennady Golovkin. Head coach Dominic Ingle turned to Boxing Science to provide scientific support to help Kell take on this mammoth task. Strength and Conditioning coach Danny Wilson headed out to Fuerteventura to deliver strength, running, mobility and recovery sessions during Ingle Gym’s 3-week warm-weather training camp. The hard work continued on our return to the steel city, at Sheffield Hallam University where we had the media attending our sessions for an insight into Kell’s scientific program. Particular focus were on Kell’s gruelling Altitude Training sessions set by Performance Physiologist Alan Ruddock. Want find out more about Kell’s training??? Leave Your E-mail below. Our affiliate amateur club, Sheffield City ABC, has had one of it’s best seasons since becoming established in 2010. The club is thriving with over 20 carded amateurs, both University teams and boxers competing at national/international level. Ryszard Lewicki leads the way with last seasons honours, which finished with the 75 kg boxer achieving another Bronze medal at the England National Championships. He also won Gold for the 75 kg open class at the British University Championships (BUCs), leading the team to 2 golds, 3 bronze and the most BUCs points achieved by the Hallam University Boxing Team. Ryszard also claimed the 75 kg senior Yorkshire title, in the same weekend as training partner Will Simpson claimed the equivalent at 81 kg. The 2015-16 season also saw the return of 2012 Junior National Champion Callum Beardow following multiple shoulder surgeries. Callum has shown great heart and determination by working his socks off in the gym, which paid off with back to back wins at the end of the season. One of those great performances came in Belfast, where head coach Brendan Warburton lead a Sheffield select group to face Belfast Metropolitan College. It was a great trip, with 8 boys taking back a 4-3 victory back to South Yorkshire. Find out more about our trip to Belfast here. When Boxing Science launched in 2014, we aimed to become the prime educational source for physically preparing boxers and combat athletes. We have kept this a priority by uploading a massive 110 articles in our 2nd year, reaching a massive 140,000 page views. This is DOUBLE the amount we reached in 2014-15 season. In March 2016, we delivered our first Coach Education Workshop at Phoenix Fitness in Liverpool. We taught motivated trainers, coaches and scientists how to apply basic scientific principles to their strength, conditioning and mobility training. We have had a busy Summer, and have loads more to share with you. If you are interested in attending one of our workshops, please click on the link and fill in our form. We also launched the Accelerated Performance Series, a 10-week sport science learning program specific to Boxing and Combat sports. Just over 1500 have taken part in the course, now better equipped to apply science to their training programs. We launched this with a Facebook Live Q and A, in which we acquired 10,000 views. It was not just the practitioners that did the teaching, we hosted professional featherweight prospect Jordan Gill in a Live Q and A sharing his experiences in Boxing, sparring and training with the Boxing Science team. Jordan Gill is one of our professional boxers that have extended their undefeated records over the past 12 months. A clinical stoppage win in December before a solid points win on the Kell Brook vs Kevin Bizier undercard has extended Jordan’s record to 16-0. Despite only competing twice, ‘The Thrill’ has shown great improvements in both boxing and S&C training, looking for an explosive few months to make 2017 his year. 2016 saw the return of Kid Galahad. Following a routine win in April, Barry rejoined the Boxing Science program on the road back to the top of the super-bantamweight division. Barry took part in velocity based training, high-intensity conditioning and mobility training to help him get in awesome shape for an 8-round contest on the GGG vs Brook undercard. A 4th round TKO win sets him up for an assault on elite of his division as he eyes up a mouth-watering fight with the much avoided Guillermo Rigondeaux. Kyle Yousaf, Nicolie Campbell, Sam Sheedy and Muheeb Fazeldin have all etched wins on Dennis Hobson Promotions cards either side of Christmas, with Andy Townendu losing out in his British title bout in September. We are sure he will bounce back! Our world class testing is one of our most popular services, attracting boxers to visit us from across the country. We had our friends from MGM Scotland visit us twice in February and April as part of their remote training program. A long with Lee Rickards’ nutritional interventions, the testing allowed us to set detailed training programs and evaluate their progress. We also hosted British title challenger Leigh Wood and WBO Lightweight World Champion Terry Flanagan. We provided an in-depth analysis of their physiological characteristics to provide training recommendations to optimise performance. Our new online program ‘Train Like a Champion’ will be launching in September. This program will bring Boxing Science to your doorstep, with a full in-depth sport science program designed to achieve the results you have desired. This is the blueprint to elite performance. Click the link and leave your e-mail to receive a 20% discount code before official release of the program. Boxing Science is the world’s first website dedicated to sport science research and application in Boxing. We will be providing articles and research in Boxing over various sport science disciplines, including strength and conditioning, physiology, psychology, nutrition and much more.